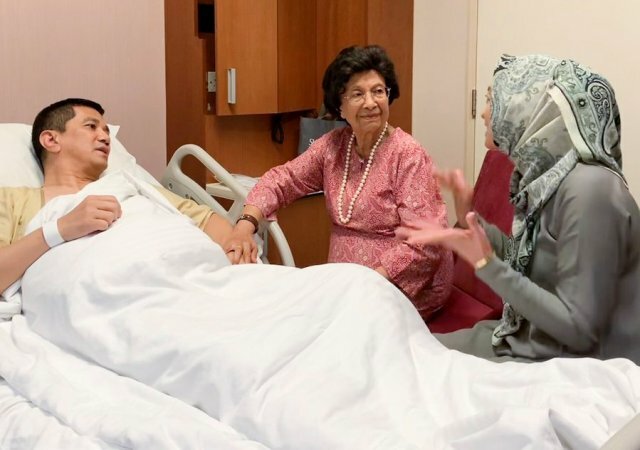 KUALA LUMPUR — Tun Dr Siti Hasmah Mohd Ali, wife of the Prime Minister, visited Economic Affairs Minister Datuk Seri Mohamed Azmin Ali after the latter had undergone surgery at a hospital, according to a tweet. “A picture paints a thousand words, they say. Indeed, Abah @AzminAli in high spirits, from the care, love and affection showered on him by Tun Dr. Siti who came to visit after Abah’s surgery. “Such a gem of a person, Tun Dr. Siti is the embodiment of kindness, gentleness, love and compassion as I can see for myself in the way she cares for Abah @AzminAli,” Farah Amira tweeted yesterday. In a video clip and a photograph uploaded onto the Twitter account, Dr Siti Hasmah is seen in conversation with Mohamed Azmin who is lying in bed. According to Farah Amira, her father cannot wait to get back to work. 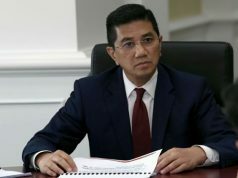 “Oh dear, I’m not sure if this is a good thing… All this cheering up has put Abah @AzminAli in such high spirits that he says he just can’t wait to get back to work,” she tweeted. 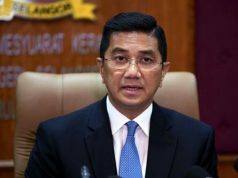 Meanwhile, Mohamed Azmin, in a tweet, expressed his thanks and appreciation to those who had visited him, such as Youth and Sports Minister Syed Saddiq Syed Abdul Rahman, Dr Afif Bahardin and Hilman Idham.